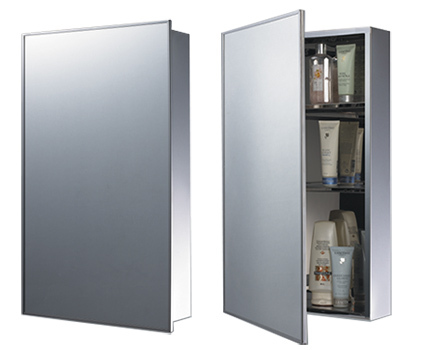 Mavi distributes first quality Medicine Cabinets which will transform your bathroom’s overall appearance with a little touch. Features: Doors mounted on a continuous full-length piano hinge in a wide array of sizes. Cabinets can be inverted for right or left swing installation. Specifications: White baked enamel steel bodies and doors. 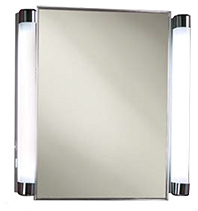 Mirrors/Doors: 3/16″ first quality plate glass. Doors are mounted on a full length piano hinge equipped with a magnetice door catch. Shelves: 1/4″ adjustable glass shelves mounting on locking adjustable aluminum shelf clips. Features: A pan door construction for inset European hinge design. Door operates without the use of magnetic closure, this hinging arrangement allows for six way door adjustment. The cabinets are equipped with rubber door silencer pads. 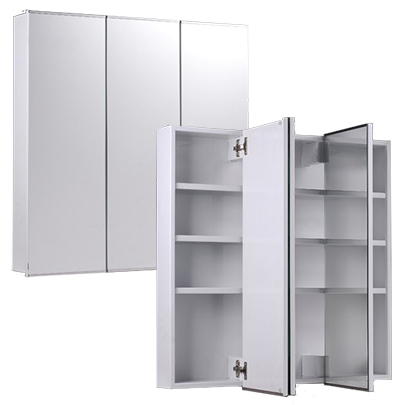 Fixed metal shelves are provided with the same gauge and finish as the cabinet body. Specifications: White baked enamel steel bodies, doors and shelves. Mirrors/Doors: 3/16″ first quality plate glass. Door thickness is 3/4″ on all models. Special sizes are available upon request for large quantities. Features a pan door construction for inset European hinge design. Door operates without the use of magnetic closure, this hinging arrangement allows for six way door adjustment. The cabinets are equipped with rubber door silencer pads. Fixed metal shelves are provided with the same gauge and finish. Mirrors/Doors: 3/16″ first quality plate glass. 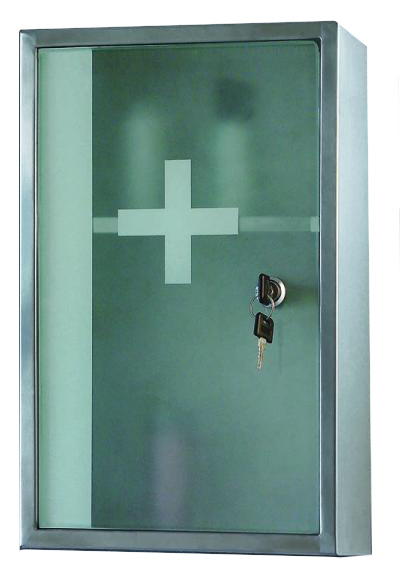 Pan doors are equipped with cabinet style hinges to allow six way adjustment. Door thickness is 3/4″ on all models. Features a pin hinge door construction. Door operates with a keyed lock. 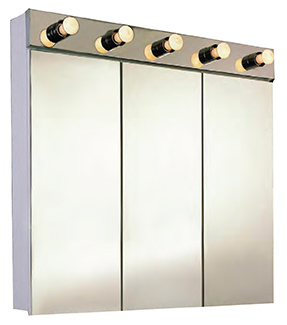 Fixed metal shelves are provided with the same gauge and finish as the cabinet body. 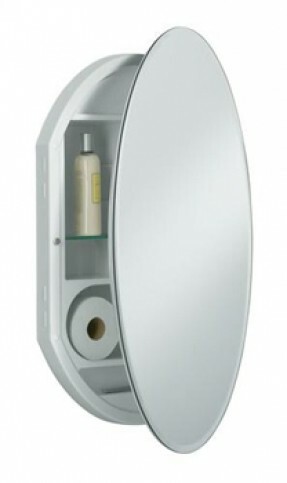 Specifications: Satin stainless steel finish exterior. Shelves: Fixed stainless steel shelf. Recessed medicine cabinet with built in side lights. Bulbs included.